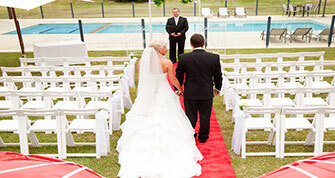 The Resort offers Barwon Heads leading fitness trainers who provide a range of workouts designed to suit guest’s needs. A Light session incorporates a range of gentle exercise options designed to moderately increase the heart rate. These include activities such as a brisk walk and a light jog on the beach followed by a comprehensive stretching routine. This is the perfect way to re-introduce exercise back into your day. A Moderate session starts with a light warm up, then moves into a fit-ball workout with a challenging strength element, and is followed by some moderate-intensity cardio work. This is a great all-round session in which guests can also enjoy the natural beauty of Barwon Heads. A Power session is suitable for guests with an established level of fitness. This is a challenging experience designed to push the body under the guidance of a fully qualified instructor. Guests will use their entire physical and mental capacities while engaging in high intensity boxing and cardio work in the sand and full body core strength development. All sessions are 60 minutes in duration and conclude with a wonderful hands-on stretch and recovery period to leave you feeling refreshed and invigorated. For guests, residents (and friends) at the Barwon Heads Resort at 13th Beach. Personal training by appointment only.